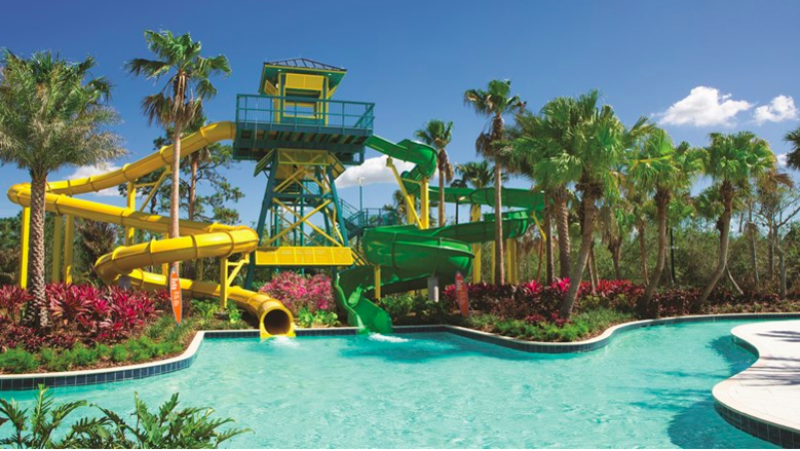 The Grove Resort & Spa in Orlando opened an on-site waterpark on March 1. The 106-acre resort opened in March 2017 just three miles from the Walt Disney World Resort. The Surfari Water Park features two waterslides, a 700-foot lazy river and a two-person, dual-rider surf simulator. The opening of the waterpark signals the completion of the all-suite resort’s first phase. Plans include the addition of 280 suites by the end of this May; when completed, the property will feature 878 suites. Surfari adds to the resort’s three existing swimming pools and is exclusively for hotel guests. A designated Kids Zone was designed specifically for the hotel’s smallest guests. To commemorate the waterpark’s opening, the Grove is offering a package that is available for booking until the end of March for travel through Sept. 3. The package starts at $160 per night and includes nightly accommodation in a two- or three-bedroom suite, a half-hour bodyboard lesson on the surf simulator, one-day inner tube rental per guest and a $25 resort credit. This report was updated to correct the location of the Grove Resort & Spa (Orlando, not Winter Park) and its proximity to Disney World (three miles, not six).